Millions of homeowners went through a foreclosure due to the economic collapse of 2008. Having a foreclosure is not the end of the world. The mandatory waiting period after foreclosure for FHA insured mortgage loans is three years from the date of the sheriff’s sale of the foreclosed property or the date the deed of the home was transferred out of the homeowners name into the name of the lender. What If The Deed Is Not Out Of My Name? What If My Mortgage Was Part Of Bankruptcy? Many folks had their foreclosure as part of their bankruptcy and the bankruptcy wiped out the mortgage loan. The bankruptcy waiting period after a bankruptcy to qualify for a mortgage loan is two years, which it already passed but the foreclosure waiting period did not even start yet. Homeowners actually own the home free and clear with no mortgage because the mortgage balance got wiped out on bankruptcy discharge. Home Buyers seeking a home loan with bad credit with a direct lender with no mortgage overlays on government and conventional loans, please contact us at The Gustan Cho Team at 262-716-8151 or text us for faster response. Or email us at gcho@loancabin.com. 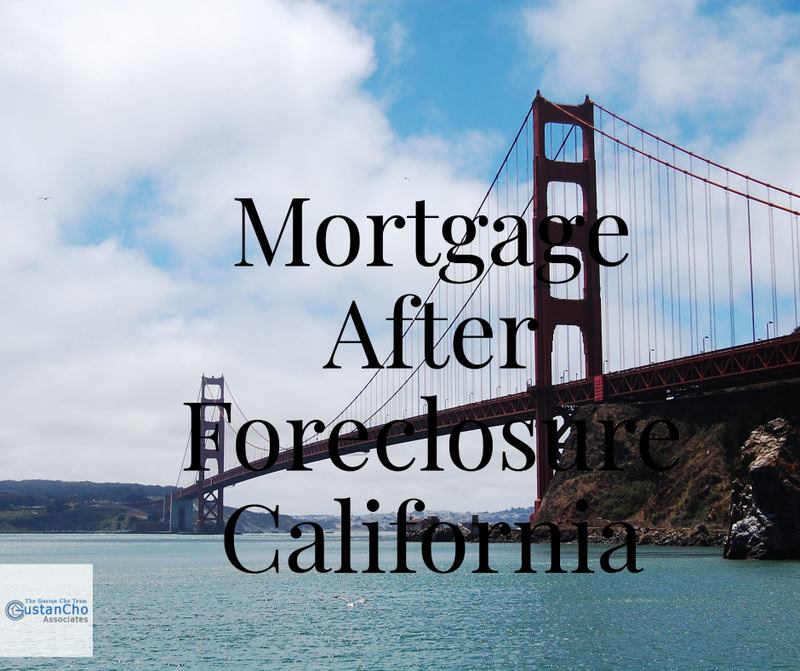 We specialize in helping borrowers secure home buyers obtain mortgage after foreclosure California and dozens of other states with no lender overlays.